Inventory at various Couche-Tard locations, including in the Laval area of Quebec, is highly customized for local areas and differing interests of consumers. A household name in Canada, Couche-Tard is one of the largest convenience store owners and operators in the world. After acquiring one of its largest competitors, CST, in 2017, it now has more than 15,000 stores worldwide, with 9,200 locations in North America. The acquisition also gives the company a significant presence in the southwestern United States and substantial support to expanding fuel offerings to more Canadian locations. As Couche-Tard’s operations director Western Quebec, Melissa Lessard points out that the CST transaction is part of a long-term strategy that, since 2011, has roughly tripled the company’s holdings, all of which are being repositioned under the Circle K brand. “We learn more about processes and efficiencies with every acquisition and import the best of the best practices from each,” she says. To illustrate this, Lessard cites the fact that all Canadian IT systems were completely integrated within eight weeks after the CST transaction was officially closed. Naturally, the deal not only involved extensive due diligence, but it also included Couche-Tard’s unique practice of extensive on-site visits. In preparation for potential or pending transactions, top executives and operations teams routinely walk through local stores to fully understand local retail realities and to experience customers’ perspectives firsthand. One innovation that the company is expanding as a result of the CST acquisition is a made-to-order food program that offers alternatives to the usual prepackaged sandwiches and snacks that are typically associated with convenience stores. Participating locations receive investments of $20,000–$30,000 in freezers, ovens, display cases, and additional resources for employee training. So far, bakery sales have increased roughly 300 percent in stores where the program has launched. Although Couche-Tard has locations across the United States, Canada, Europe, Mexico, Japan, China, and Indonesia, Lessard believes many people don’t understand how locally focused its operations truly are. Inventory is also highly customized for local areas and differing interests. In tourist regions, for example, many stores carry fireworks. If they are near popular fishing spots, shelves may also be devoted to fishing gear. Additionally, Couche-Tard engages in ongoing efforts to leverage technology to connect with customers and to make its stores as relevant as can be on a daily basis. Its North American mobile app is continually updated and improved with the objective to make payments easier and faster, as well as to increase customer engagement through loyalty programs. Lessard pioneered the use of mobile technology and social media at the company when she first joined as part of the merchandising and marketing group about six years ago. To this day, the sort of technology she pioneered the use of has become commonplace throughout all of Couche-Tard’s business units. Her original app still has 150,000 users and helps drive up to 8 percent redemption rates when new sales initiatives are introduced—more than double the industry average. In addition to that accomplishment, Lessard is one of the few women executives in the convenience store industry. However, as evidenced by the recent addition of two other women to Couche-Tard’s executive team, she is quick to point out the overall diversity of the company’s employees. After five years with Couche-Tard, Melissa Lessard became a working mother. Although she was accustomed to working in the male-dominated convenience store industry, she quickly recognized a number of misconceptions about women with children in the corporate environment. Lessard created a work/life balance that dictates that home stays at home and work stays at work. However, there are moments that require spontaneous adjustments. When unexpected illnesses arise, for example, she recommends being open and honest, staying at home if necessary, and then catching up nights and weekends to deliver the same quality work just as before motherhood. 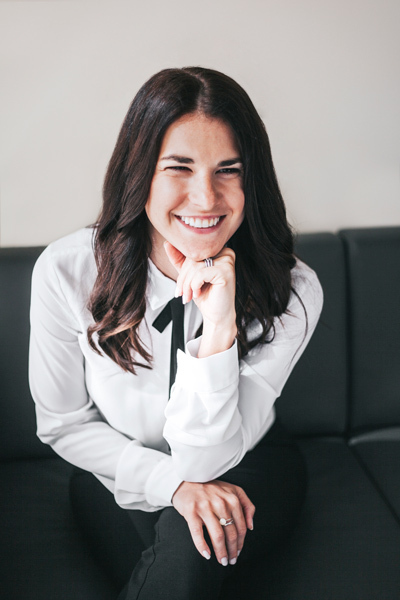 MolsonCoors is proud to celebrate the achievements of Melissa Lessard, director at Couche-Tard, for her strategic vision and focus on consumer satisfaction, which is driving mutual business growth. As a major global brewer, MolsonCoors has the ambition of being the first choice of customers and consumers by leading innovation, quality, and service.